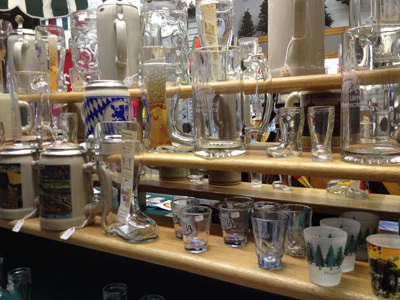 Guten Tag Haus has beer steins as well as mugs that display ornate designs and craftsmanship. 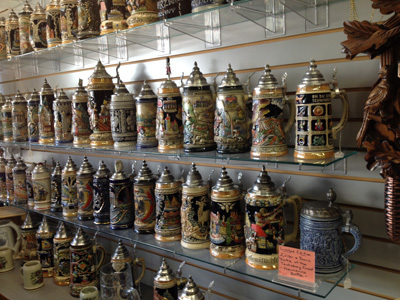 From traditional engravings to colorful images of the German flag, our steins are constantly changing. 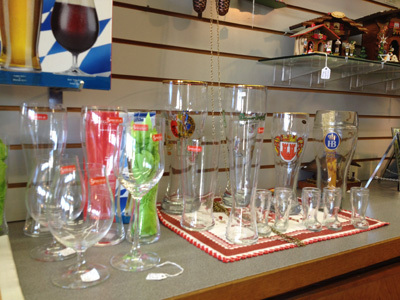 We also have pilsners, glass ware, and German mugs in many sizes. 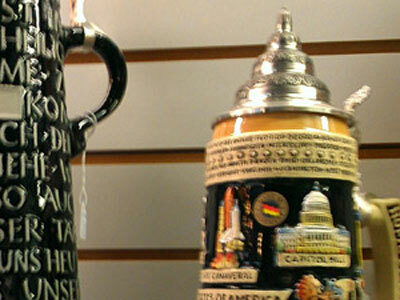 One of the key differences between a stein and a mug is that a stein has a pewter lid, where a mug does not. 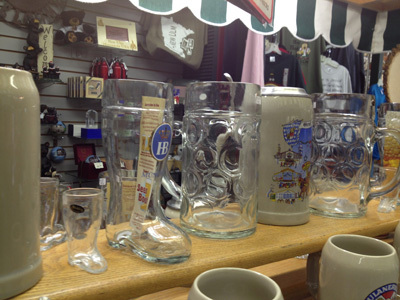 Beer steins are iconic of German heritage. These decorated mugs have become a craft in Germany. 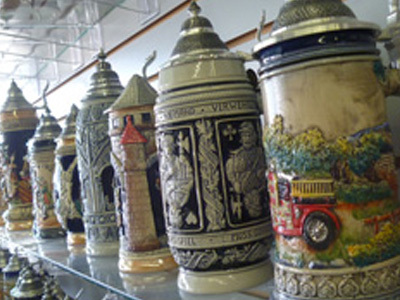 Steins are covered with a decorative pewter lid which was used to protect the prized beverage from flys and dirt. 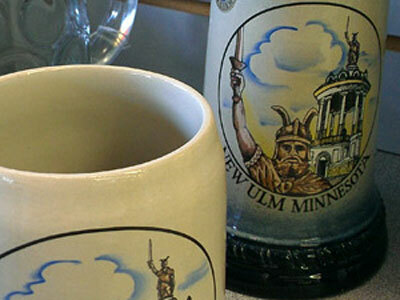 Our store features a New Ulm stein-featuring Hermann-which was made in Germany. 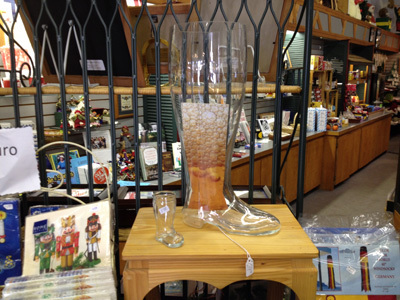 German beer steins were originally created way back in the 14th century for a means of covering a beverage when it was not being consumed. This reduced the spread of disease and kept the citizens of Germany healthier. 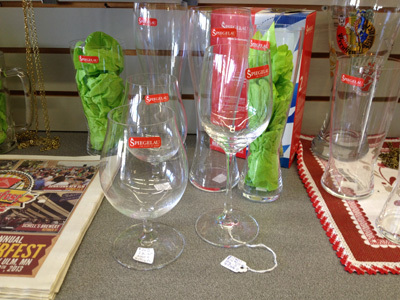 The word stein is the German abbreviation for Steingut, which translates to “stoneware”. Early lids were made of pewter and dome-shaped with a small figure on top. 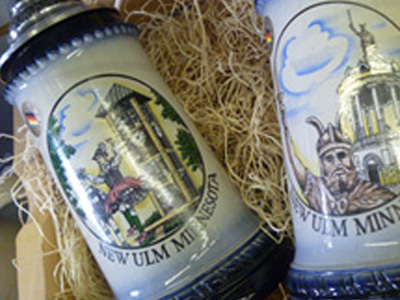 Modern German beer steins began production in the 1920s and are still evolving today .These iconic works of art have inspired other countries to create similar pieces for both regular use and to serve as collector’s items.